About Us | Joe & Joe Air Conditioning, Inc.
Making South Florida a Cooler Place and loving every minute of it (one house at a time)! Have you been looking for an A/C guy who will give you a good service and an honest opinion about what you need to do to cool your house? Well, it’s your lucky day. 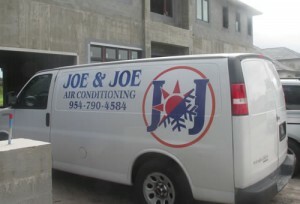 Joe & Joe Air Conditioning, Inc. is a small family owned business that gives personalized service that fits your need. Founded by Joe & Nayiry, a husband and wife team, we strive to provide the best service possible. We moved to the States about fourteen years ago, looking for a place we could call home, that could provide us safety and peace of mind. After moving to South Florida, we worked very hard to provide a better life for our three children. While working to support our family, we also continued our education. 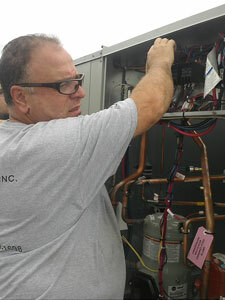 Joe specialized in air conditioning service and installation. The company was founded by a husband and wife team, but that’s not where it stops. The whole family takes part performing various functions in the company. We will never try to sell you anything that you don’t need. We service the following areas: Boca Raton, Pompano Beach, Ft. Lauderdale, Davie, Coral Springs, Plantation, and more. Choose Services from the menu above to view what we can do for you. Looking for an A/C guy with good service and an honest opinion? © 2017 Joe & Joe Air Conditioning Inc.